Two miles to the North of Brightlingsea and six miles to the East of Colchester, spanning 1930 acres is the village of Thorrington. 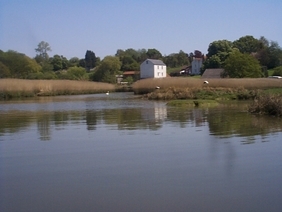 Its attractive setting, including valleys of Alresford Creek and Flack Creek to the south and Tenpenny Brook to the west, is recognised by the inclusion of the village in the Colne Estuary Special Landscape Area. Thorrington has seen development of new executive and affordable homes in the last 10 years as its location lends itself well for commuters to the local towns as the B1207 links Thorrington with easy access to Colchester and Clacton on Sea. A recreational field with village shop adjacent, church and village hall are the focal points of this village.